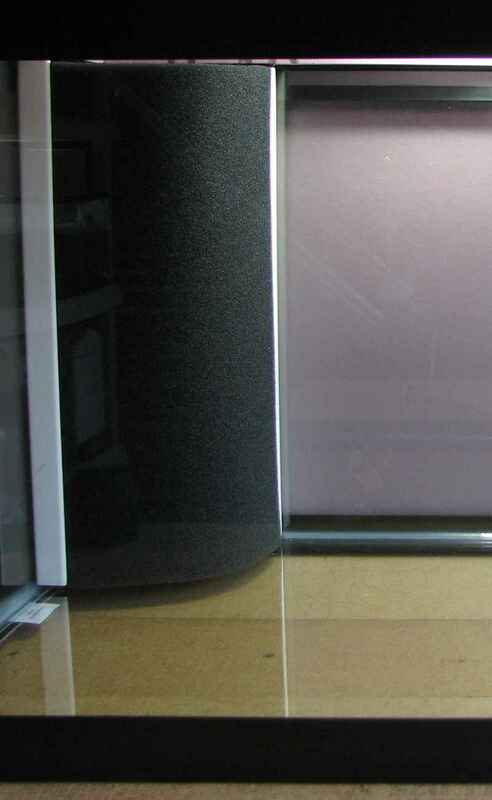 The original HMF aquarium filtration, or Mattenfilter for short, was simply a foam sheet inserted vertically in the tank, about 2 cm from the side wall. 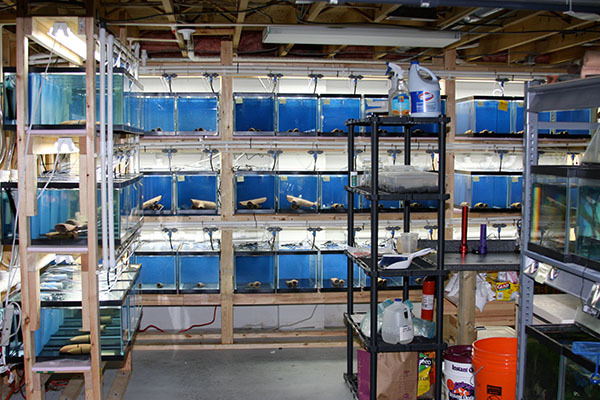 This works extremely well in a working fish room where tanks are placed on end into tank racks. There are also several variations on this basic theme, like the corner HMF pictured above. Rather than go into all the technical details behind HMF aquarium filtration, I though I would simply convey some of my experiences using these filter over the past several years. I will however provide links for your further exploration. 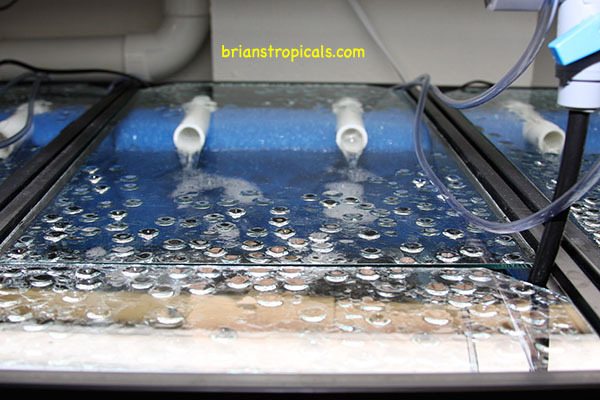 My first exposure to HMF aquarium filtration was when I purchased some freshwater dwarf shrimp from Brian at Brian’s Tropicals . Brian was kind enough to let me stop by his fish room to pickup the shrimp rather than having them shipped. While I was there, Brian gave me a tour of the fish room and explained his very cool automated water change system and how he uses HMF aquarium filtration in almost all of his tanks. Well, long story short, when visiting Stephan’s fish room, I saw racks of tanks using HMF aquarium filtration again. As luck would have it, Stephan was the North American distributor for the Poret® filter foam used in the HMF. Stephan was kind enough to give me some history on HMF and explain how and why it worked so well. It is such a simple and elegant system, that I knew I had to give it a try. I though a good place to start would be with some 20 gallon long grow-out tanks so I purchased enough foam to build two standard HMF’s. I was so happy with how these worked that I quickly purchased foam to use as a filter / divider for a 75 gallon grow-out tank. 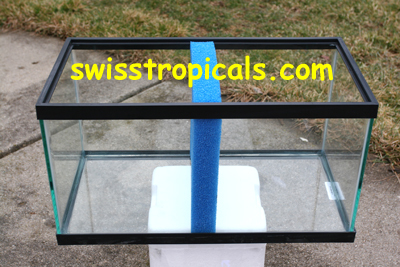 Having used sponge filters for many years in my fish room I was well acquainted with the basic principles behind their operation. HMF aquarium filtration works like sponge filters on steroids! I especially like the fact that you can perform water changes behind the filter foam and not disturb the tanks occupants. This feature is very nice when you have a tank full of fry. Once I had several tanks using HMF aquarium filtration, and could see first hand the benefits, it was a no-brainer to move the rest of the tanks over as well. The only tanks that I don’t have set-up with HMF filtration are my breeder set-ups. In those tanks, I still use the Poret foam, but in cube-filters rather than HMF filters. The definitive site for all things HMF would have to be Stephan’s Swiss Tropicals. 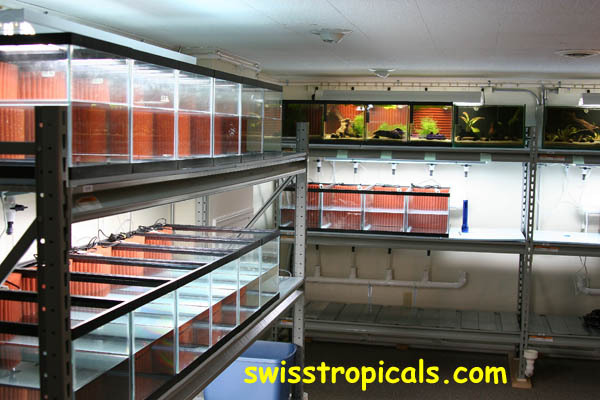 The Swiss Tropicals website ‘Library’ sections has a wealth of information about HMF and aquarium biofiltration.